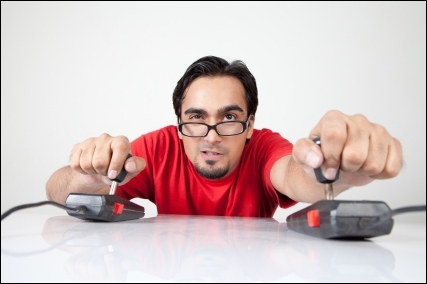 BizSugar Blog » Small Business Gamification: Game On? Small Business Gamification: Game On? Many people enjoy games, they’re quite addictive. Even those that aren’t glued to an Xbox or Wii system 24/7 in their downtime have a tendency to get caught up in them. Take Facebook for example. Farmville and Mafia Wars have enticed many players into their realm and a lot of them are not what would be considered seasoned gamers. Games can be a big draw. As the old saying goes, “All work and no play makes Johnny a dull boy.” Games engage people and cultivate ongoing participation via reward systems. With that in mind, can games be useful to your small business? Or “gamification” as it’s been affectionately coined, which refers to applying game-like concepts to non-gaming activities? Games are appealing to young and old alike. If your small business needs an engagement boost, or your employees need a bit of motivation – it could be that gamification incorporated into your small business could be the answer. Companies like Google and Target have realized the benefits of gamification and jumped on board the game train. Social games linked to business activities could be just what your small business needs. What are your thoughts about how Google and Target are using gamification? Is gamification for your small business? Do you currently, or would you, participate in business related gamification? I love social games! I headed one up not too long ago – a Tweet it Forward Team building game series. It was a lot of fun and very useful for networking.